At any circumstance, you have lots of Windows opened in your PC, suddenly you need to access Recycle bin but you are unable to minimize or close the application, it really becomes pain for you. 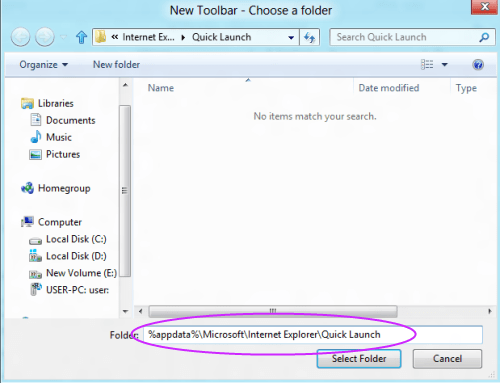 For this purpose, read this tutorial out to get full Recycle Bin to Taskbar on Windows 8. Before that, also check out our post on how to enable Safe Mode in Windows 8. First of all take the cursor to the taskbar and right-click it. 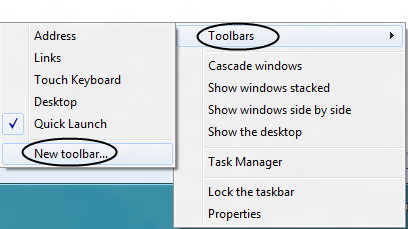 Now, choose “Toolbars” and then click on “New Toolbar”, at the same you also have to unlock the task bar. You will be asked to open the folder click over to navigation bar, now all you need to do is paste the below link given. Once you have done the copy and paste of link, just click on “Select Folder” option at the bottom. You will see out the toolbar with streaked lines at both the end on right pane of your aero desktop. 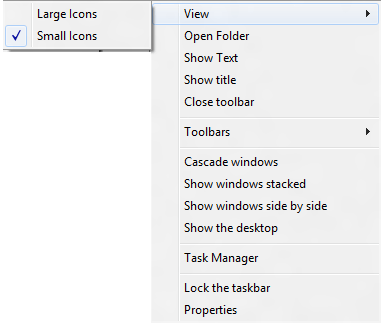 Now, click on dotted lines and drag out the toolbar towards the left pane. Note: To move task bar toward the left, you need to unlock the taskbar. Check out whether the taskbar looks same in picture below. 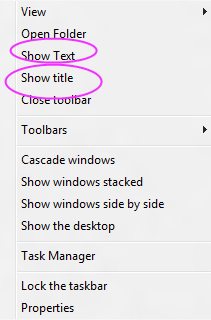 The next step, just right-click on the streaked lines and uncheck the “Show Title” and “Show Text” from the context menu. Now, again right-click on the streaked lines and click on “View” and select “Large Icon” instead of “Small Icon”. Now the last step, Drag and drop the “Recycle Bin” to your taskbar. 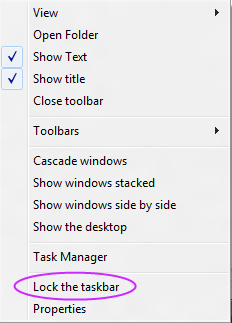 Finally, delete other temporary shortcuts from the toolbar and “lock the taskbar” again. Now, you seem to think out that, how easy was to create a Fully Functional Recycle Bin To Taskbar On Windows 8.